The Reorganized (RLDS) Church is now known as the Community of Christ. The Community of Christ was organized as a separate denomination in 1860 in Amboy, Illinois, the church has roots in the Restorationism movement and the Latter-day Saint movement. Community of Christ today considers the period 1830–1844 to be a part of its early history and 1844–1860 to be a period of disorganization. The doctrine and practices of Community of Christ have evolved separately since 1844 from the other denominations sharing origins in the Latter-day Saint movement. Within the past several decades, the church has moved in the direction of greater tolerance, emphasizing its role as a peace and justice church. Some changes included the ordination of women to priesthood, open communion, and changing the church's name from Reorganized Church of Jesus Christ of Latter Day Saints to the current name in April, 2001. The headquarters of the Community of Christ is in Independence, Missouri. The Community of Christ has 250,000 members found in more than fifty nations. The church has two temples, the original LDS temple in Kirtland, Ohio and one in Independence. Rather than claiming a doctrine revealed by Christ to prophets, as the LDS Church claims, the Community of Christ states that there is no official church creed that must be accepted by all members. Other differences from the Mormon Church are a suggestion that God is an entity of spirit, and the godhead is a trinity—three gods in one—as with the Catholic and Protestant faiths. This belief is in direct opposition to the central doctrine revealed by Joseph Smith from the moment he received his first vision, in which he saw two corporeal beings, God the Father and Jesus Christ. After the martyrdom of Joseph Smith, two men, Jason Briggs and Zenos Gurley, both had spiritual experiences which encouraged them to view Joseph Smith III as the future prophet of the restored church. Joseph III was only eleven years old when his father was assassinated. Briggs and Gurley formed a group that decided to wait until Joseph III was old enough to administrate the church. They approached Joseph in 1851. Though he was at first reticent, Joseph eventually accepted the call. Succeeding presidents of the church have mostly been descendants of Joseph Smith, Jr. 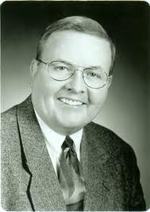 In June 2005, Stephen M. Veazey was ordained to the office of prophet/president of the church. The Community of Christ views the Book of Mormon as an additional witness of Jesus Christ and publishes two versions of the book through its official publishing arm, Herald House. The Authorized Edition is based on the original printer's manuscript and the 1837 Second Edition (or Kirtland Edition) of the Book of Mormon. Its content is similar to the Book of Mormon published by The Church of Jesus Christ of Latter-day Saints, but the versification is different. Community of Christ also publishes a 1966 "Revised Authorized Edition" which attempts to modernize some of the language. In 2001, Community of Christ President W. Grant McMurray reflected on increasing questions about the Book of Mormon: "The proper use of the Book of Mormon as sacred scripture has been under wide discussion in the 1970s and beyond, in part because of long-standing questions about its historicity and in part because of perceived theological inadequacies, including matters of race and ethnicity." At the 2007 Community of Christ World Conference, President Stephen M. Veazey ruled a resolution to "reaffirm the Book of Mormon as a divinely inspired record" out of order. In so doing he stated that "while the Church affirms the Book of Mormon as scripture, and makes it available for study and use in various languages, we do not attempt to mandate the degree of belief or use. This position is in keeping with our longstanding tradition that belief in the Book of Mormon is not to be used as a test of fellowship or membership in the church." This page was last edited on 7 September 2010, at 04:41.